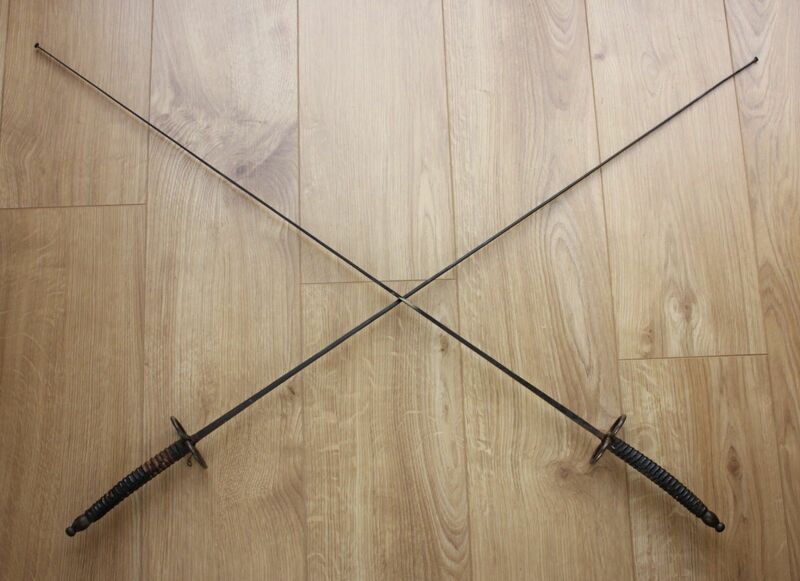 Pair Antique Solingen 19th Century Fencing Foils / Epees. 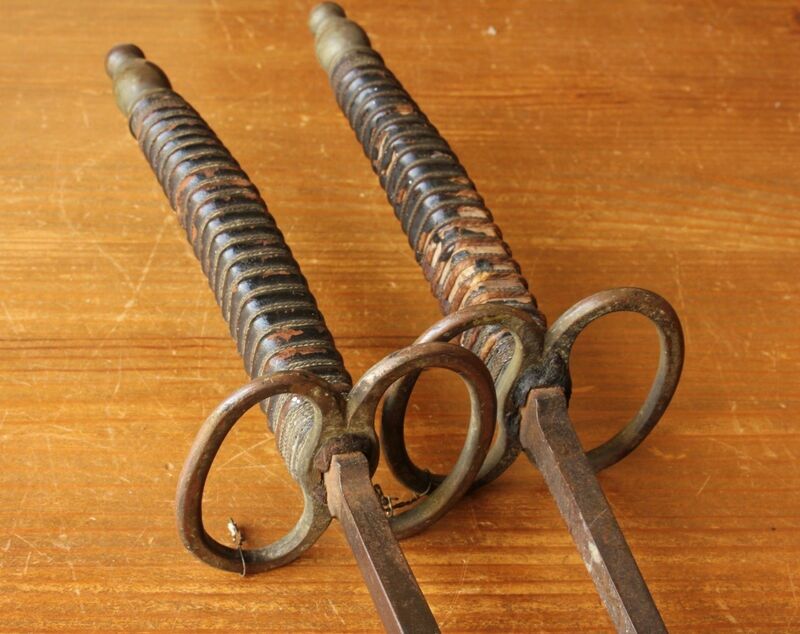 This interesting antique pair of Solingen fencing foils / epees have steel blades, brass guards, pommels and leather bound grips on rectangular wooden handles. 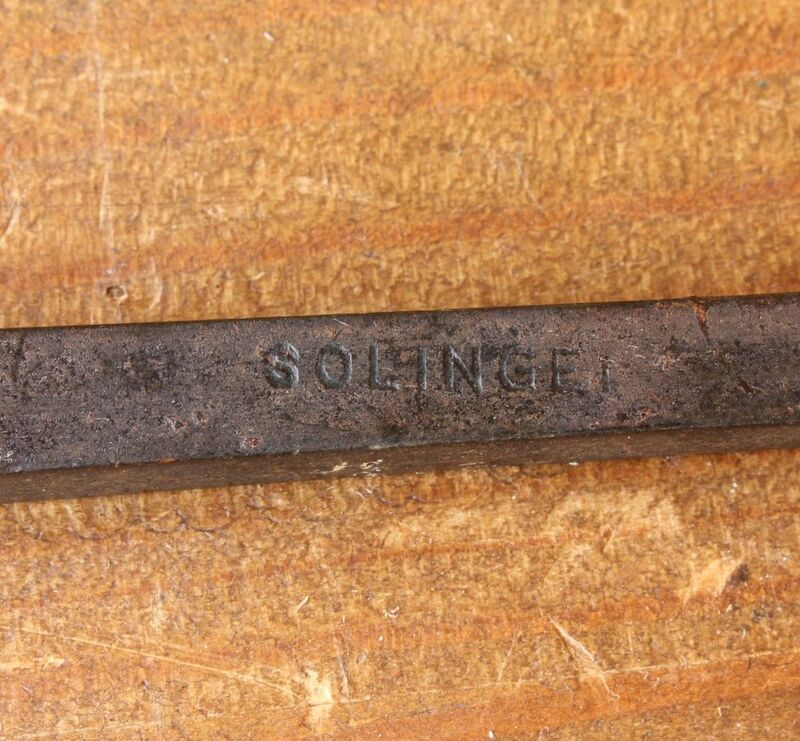 These foils are marked to the blade - Solingen. These foils have not been cleaned and are perfect for display. They would look great in a hotel, bar or man cave. 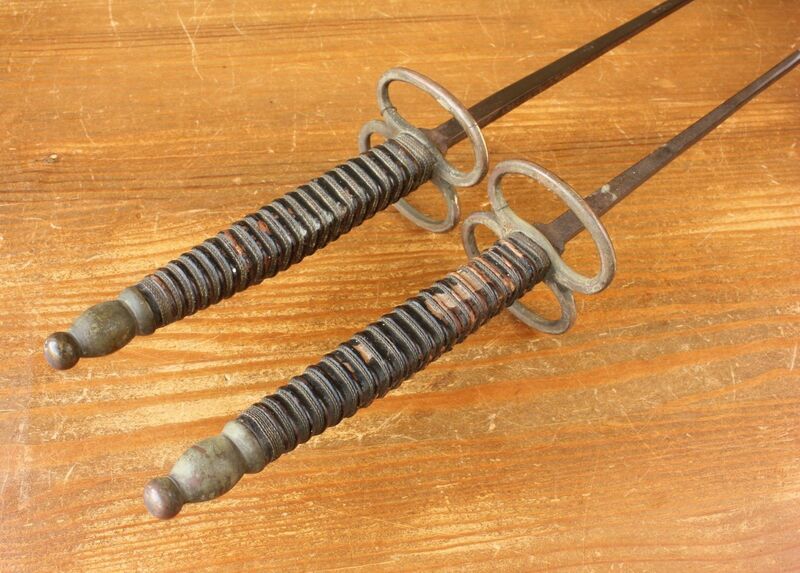 Fencing was an extremely popular sport in Europe so there were many gentleman's private fencing clubs in England and France towards the end of the 19th Century. 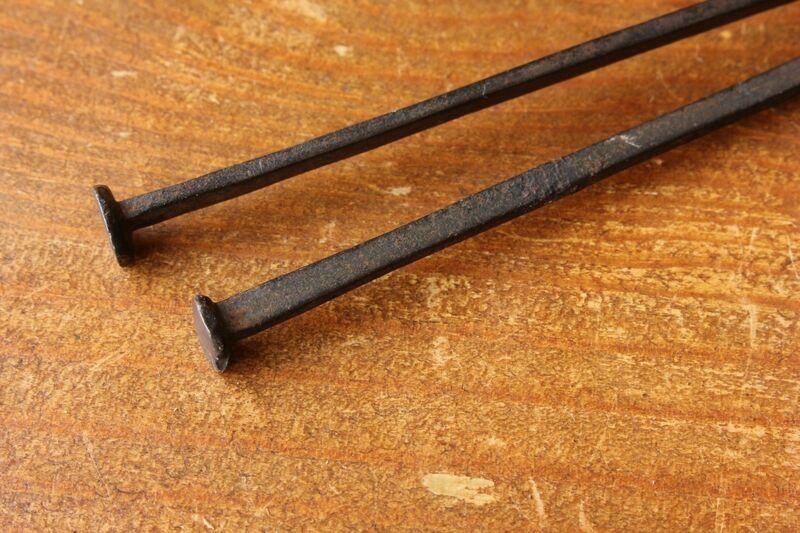 It is unusual to find a matching pair in such good condition. Date: 19th Century. c1880 or maybe a little earlier. Size: Length - 106 cm (41 3/4") approx. Weight: 291 and 284 grams (10 1/4 and 10 oz). Condition: Good antique condition with wear and an overall patina. Very good period condition. Blades have some rust and pitting. 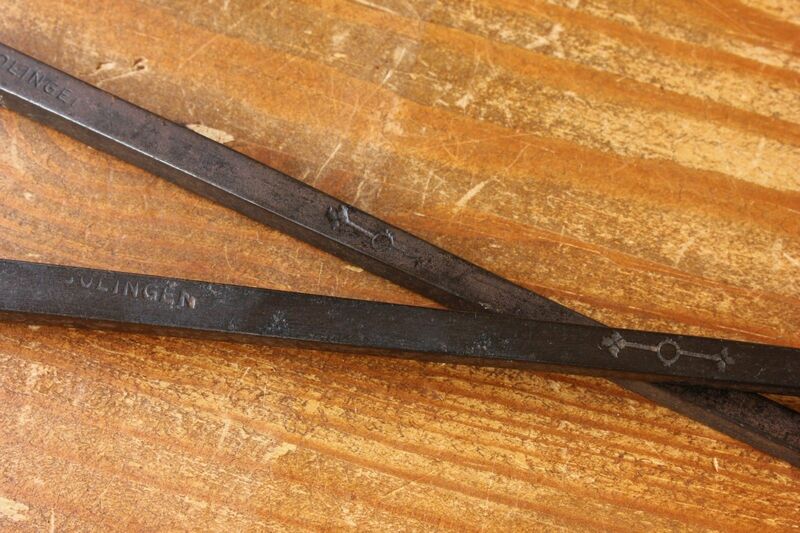 Flaking to the leather on the bound grips. Please see pictures.